This Friday is going to be a delicious holiday for all of us as the National Doughnut Day is again here to make us hungry for donuts. The local chains are very excited to offer a variety of donuts to their customers. However, the famous donut chains like Dunkin’ Donuts, Cumberland Farms, and Honey Dew Donuts, offer many exciting deals on a purchase of a donut or a drink. 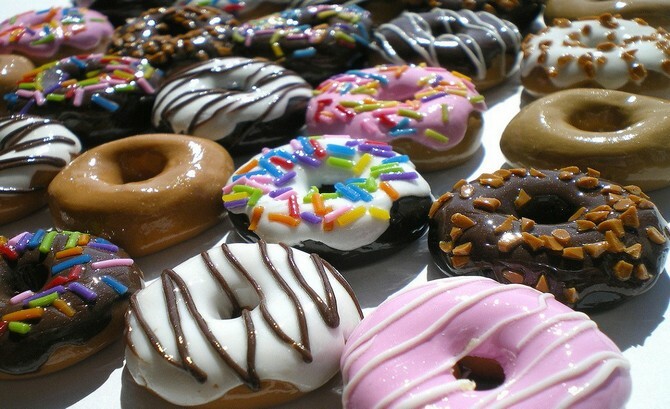 You can also get free donuts in some bakeries or coffee shops on this day, customers are even offered a free donut if they purchase a drink in some takeaway. June is not the only month to have a donut, but a quick Google search shows that there is one more donut day on November 5thas well. 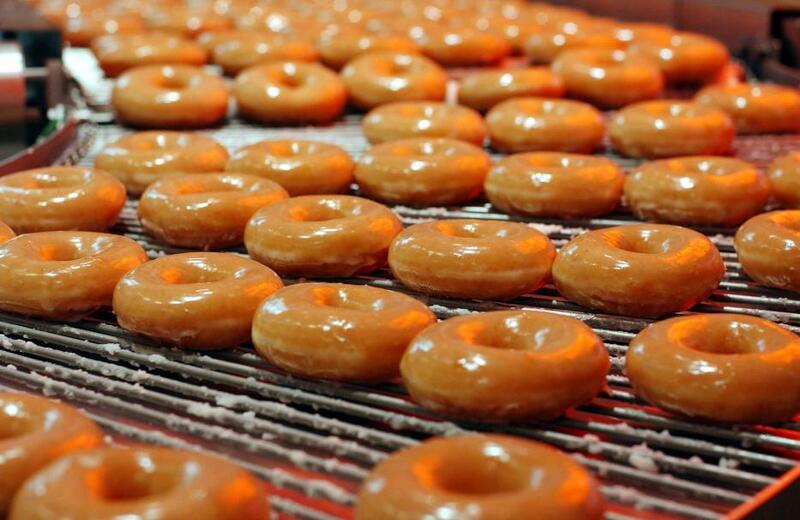 Though many shops ignore the second date; while the famous donut maker KrispyKreme will give away free donuts on November 5th this year. That the donuts were often cooked in oil inside the metal helmets of American soldiers; since then the American infantrymen were commonly known as “doughboys.” Donut is a more standard spelling ofthe worddonut. The National Donut Day was started in the year 1938, as a fund raising activity for Chicago's The Salvation Army; the main goal was to help and honor the people who are in need during the Great Depression, and to honor them the Salvation Army "Lassies " - young women who serve the army of World War I, were sent to serve the doughnuts to soldiers. Soon after the US entered the World War I in 1917, The Salvation Army sent a fact-finding task to France. However, the task concluded that the needs of US enlisted men could be met by canteens termed - huts that could serve baked goods, providing writing supplies like stamps, and provide a clothes-mending service. Normally, six staff members per hut would contain four female volunteers who could "mother" the boys. The huts were established by The Salvation Army in the United States near army training centers. 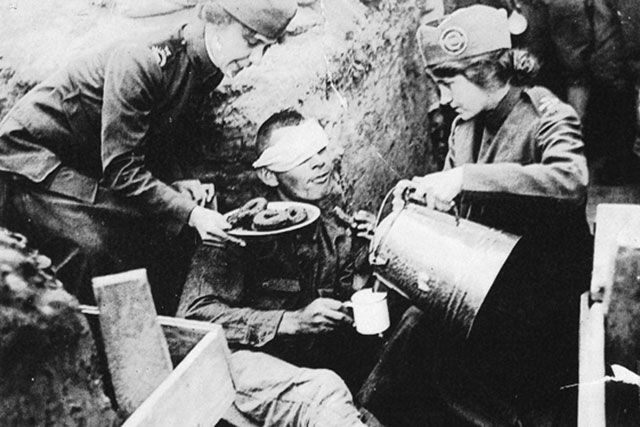 About 250 Salvation Army volunteers were sent to France; as there were difficulties of providing freshly baked goods from huts; and were established in deserted buildings near to the front lines. As the idea of freshly baked goods was not working as planned, the two Salvation Army volunteers - Ensign Margaret Sheldon & Adjutant Helen Purviance came up with an idea of making doughnuts - donuts. This idea worked very fast and have been reported to be the "instant hit", and rapidly many soldiers started visiting the Salvation Army huts. 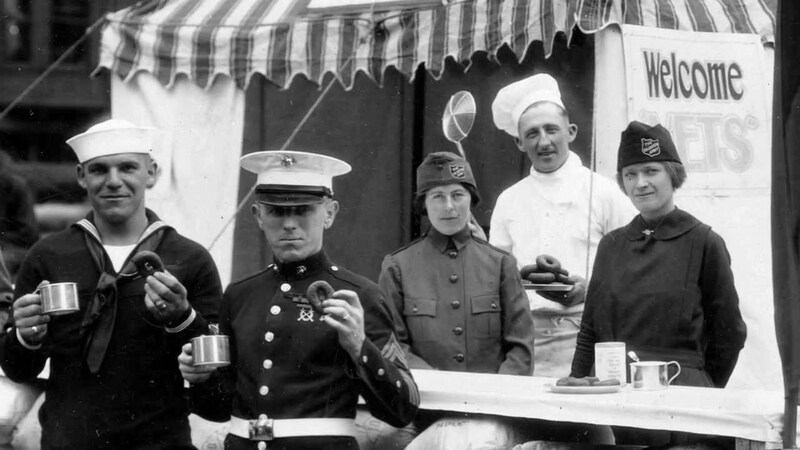 Soon, the women who served in the army became to be known by the servicemen as "Donut Girls". There are three other donut holidays, but the origins of which are difficult to understand. The International Jelly-Filled Donut Day is famous and widely recognized as June 8th occasionally falls on June 9. National Cream-Filled Donut Day is celebrated on September 14th, and the third one - Buy a Donut Day which occurs on October 30th. However, the birthday of the United States Marine Corps was once referred to be as the National Donut Day, in a successful ruse by American prisoners of war at Son Tay prison camp to trick the North Vietnamese into giving out donuts in respect of the occasion.